Our toddler parties are the same as our premier parties but are run during school hours, Monday to Friday (term time only). They have everything you want from a birthday party, but it saves you having all the mess at home. All we ask for you to do is supply your own birthday cake because that is personal to you. We are here to take out the stress of hosting a child’s birthday party at home. If you have any special requirements then please let us know. We are here to help and will always do our best. There is a minimum charge of 6 children but you can have as many as you like attend. All adults are free. You can stay all day once your party has finished but you will be asked to move from the party tables to allow for other parties starting. 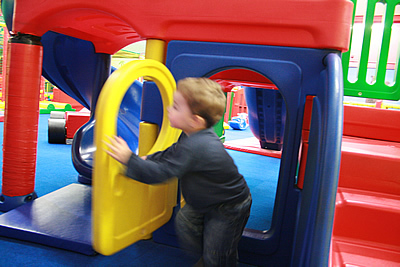 All the facilities of a Premier Birthday Party BUT only £8.95 per child (£7.95 for Members) Members always pay £1 less per child. Take a look at our Membership page for full details and prices and further membership promotions and discounts. Please call 01424 423778 to become a member to get this discount. Lines open 9.30am - 5.30pm, 7 days a week. When booking your party, please just check the items you require, making your party booking as personal to you as you want. If you have any special requirements like food allergies etc… then just fill out the box supplied for you or you can contact us on 01424 423778 between 9.30am - 5.30pm.